The Soprador do Carvalho cave (Portugal) is the type locality of the newly described species Iberoporus pluto. Photo by Ignacio Ribera. 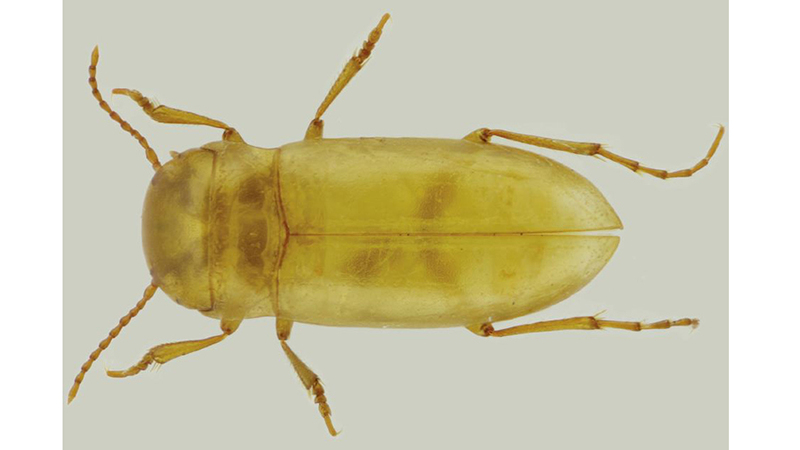 Despite not being able to find any other specimens during their study – save for the single female, the team of Dr Ignacio Ribera, Institute of Evolutionary Biology (Spain) and Prof Ana Sofia P. S. Reboleira, University of Copenhagen (Denmark) identified the beetle as new to science, thanks to its unambiguous morphology in combination with molecular data. Profile view of the newly described species Iberoporus pluto. Photo by Ignacio Ribera.